CRISPR/Cas9 was used by MIT researchers to remove the molecular tags that keep the mutant gene shut off in Fragile X syndrome neurons and resulted in some of them producing protein normally. On February 15, 2018, Dr. Rudolf Jaenisch and colleagues at MIT’s Whitehead Institute for Biomedical Research reported Rescue of Fragile X syndrome neurons by DNA methylation editing of the FMR1 gene. Fragile X syndrome occurs when a single gene, FMR1, shuts down. In this study, the team used CRISPR/Cas9 to remove the molecular tags that keep the mutant gene shut off in Fragile X neurons. The result: some of the neurons began to produce protein normally, and when these cells were transferred into mice, they continued to produce protein for three months. “These results are quite surprising — this work produced almost a full restoration of wild type expression levels of the FMR1 gene,” says Jaenisch, referring to the treated cells. What does this result mean for our loved ones with Fragile X? This exciting proof-of-principle study suggests that gene reactivation can work in Fragile X. CRISPR and other new technologies are opening doors that didn’t exist 10 years ago. Many past obstacles have fallen to advancing technology. For example, DNA sequencing used to cost hundreds of millions of dollars per genome; this now costs only a few hundred dollars and can be done much more quickly. Armed with these new technologies, we may be able to engineer a lasting solution to Fragile X.
CRISPR/CAS9 is a powerful new research toolbox which can be used to snip out sections of DNA and splice the ends back together. It can also be used in many other elegant ways. Dr. Jaenisch and colleagues used CRISPR to precisely position enzymes that demethylate and reactivate the FMR1 gene. The gene itself stays intact and the coding sequence is not edited in any way. This offers advantages in terms of safety and specificity. This experiment was done on Fragile X stem cells in a dish, not in live animals, so the reactivated neurons were then transferred into the brains of live mice. There is still much work to do before this strategy could be used to treat patients. FRAXA Research Foundation is currently supporting two alternative approaches to gene reactivation, at Harvard University and at the University of Michigan. At Harvard, Jeannie Lee, MD, PhD, and her team are searching for combinations of available drugs that specifically reactivate the Fragile X gene. She is using a similar approach to tackle Rett syndrome. Our own unpublished research that has been supported by FRAXA provides complementary although not identical results. We used a different approach — targeting a transcriptional activator to the repeat rather than a demethylase. This also activates the gene effectively at the transcriptional level at both normal and full repeat sizes and both with and without methylation. One difference we have noted is that the increase in protein we see is less than what is observed in the Jaenisch paper. This may be due to differences in the repeat size (theirs is about 450 where as ours is more than 1000 CGGs). Thus, for very large repeats a bypass for translational blockade may also be needed. Our own data will be submitted for publication shortly. Going forward towards therapies for patients, the rate limiting step for either approach is likely to be efficient and safe delivery into the human brain. Much work is being done right now, with exciting new discoveries coming at a fast and furious pace. Applications for 2018 FRAXA Research Fellowships are under review right now, and we are excited to see how many of these proposals include new ideas and new tools like CRISPR to enable approaches to treatment that were never before possible. Stay tuned for more details and new research announcements over the coming weeks. After her son Andy was diagnosed with Fragile X, Katie, her husband Michael Tranfaglia, and a third parent founded FRAXA Research Foundation. 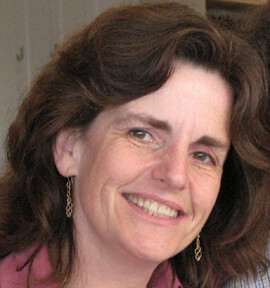 She has served as FRAXA’s executive director since 1994. Katie has a BA in History from Harvard and an MA in Computer Science from UNC Chapel Hill. She worked as a software engineer and instructor in computer science before FRAXA.